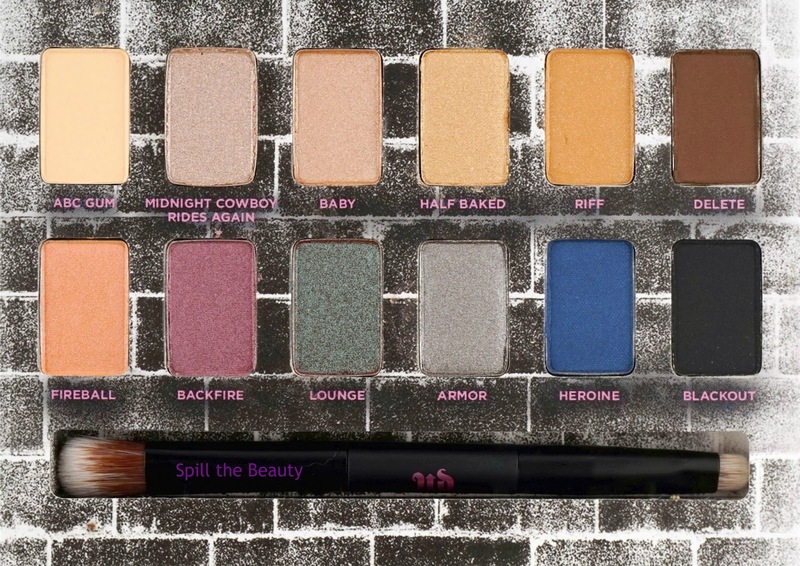 It’s the moment we’ve all been waiting for – Urban Decay is now available on beautyBOUTIQUE.ca! 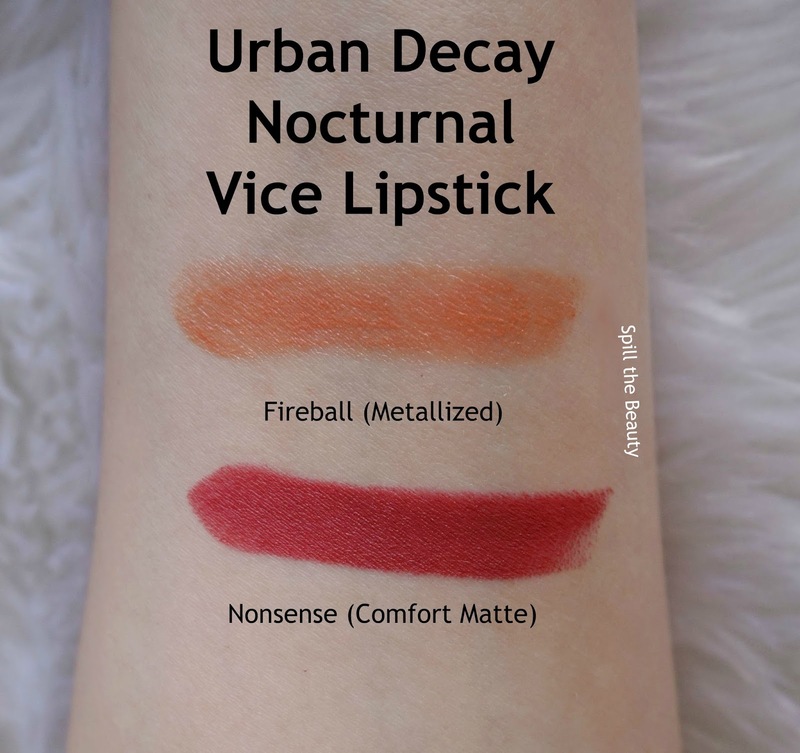 Day or night, Urban Decay is just a click away. 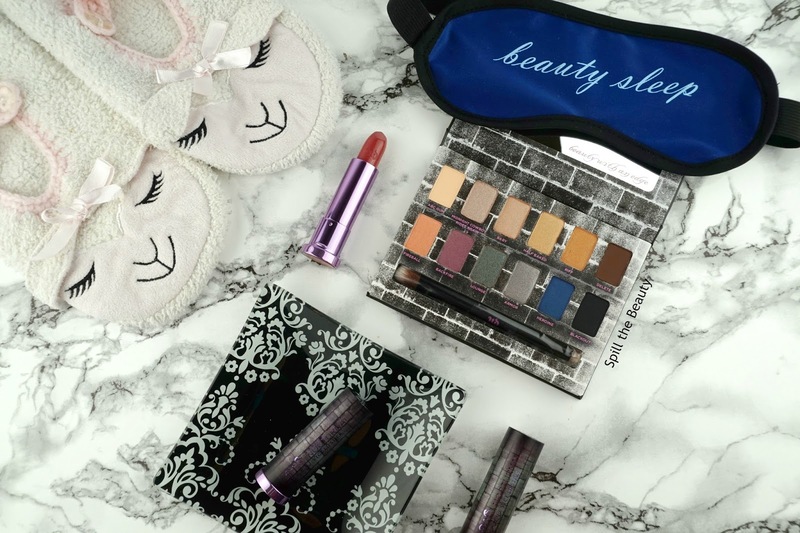 Visit beautyBOUTIQUE.ca for Urban Decay cult favourites and Shoppers Drug Mart exclusives like the new limited-edition Nocturnal collection from Urban Dceay. 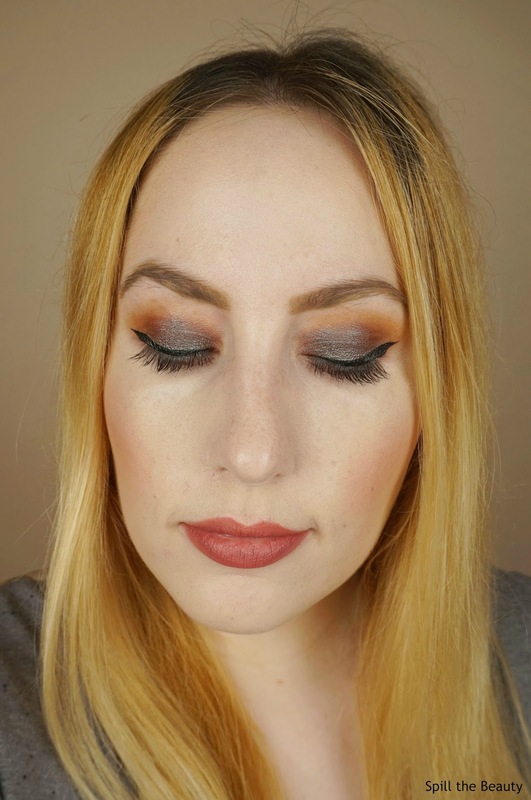 This sultry collection includes the Nocturnal Shadow Box packed with 12 amazing shades including neutrals and bold hits of colour in an array of finishes – from matte, shimmery and glittery to trippy duo tones. 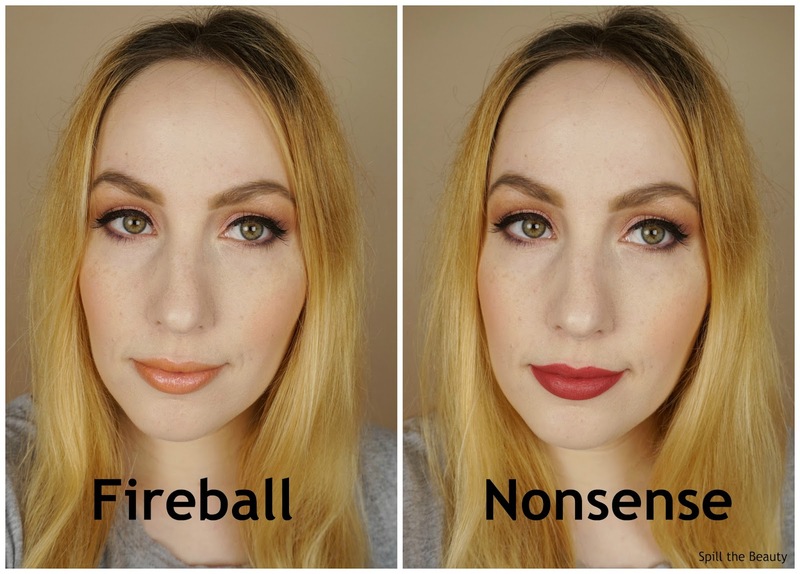 This collection also features new limited-edition Nocturnal Vice Lipsticks – a super creamy formula that delivers insane colour payoff in four different shades: Lawbreaker, Fireball, Backstab, and Nonsense. 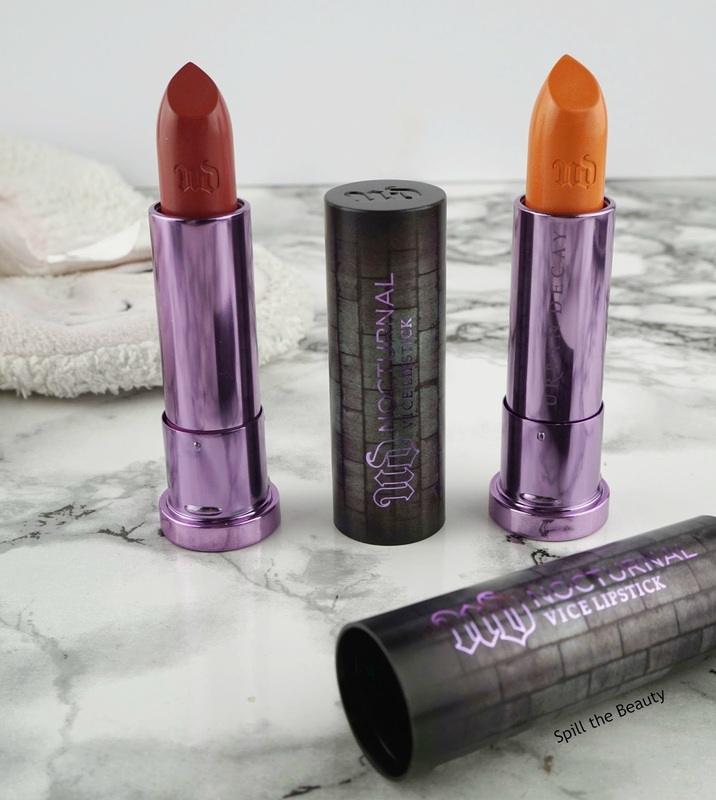 Let’s start off with the limited-edition lipsticks. 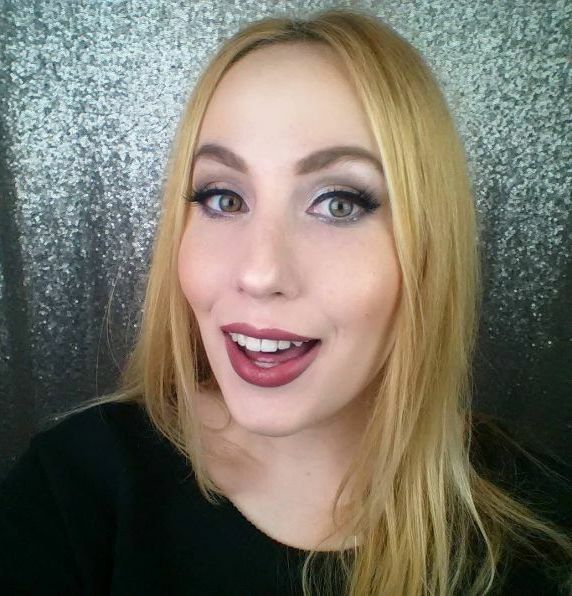 They come housed in a grey brick-wall designed cap in a metallic lilac tube. 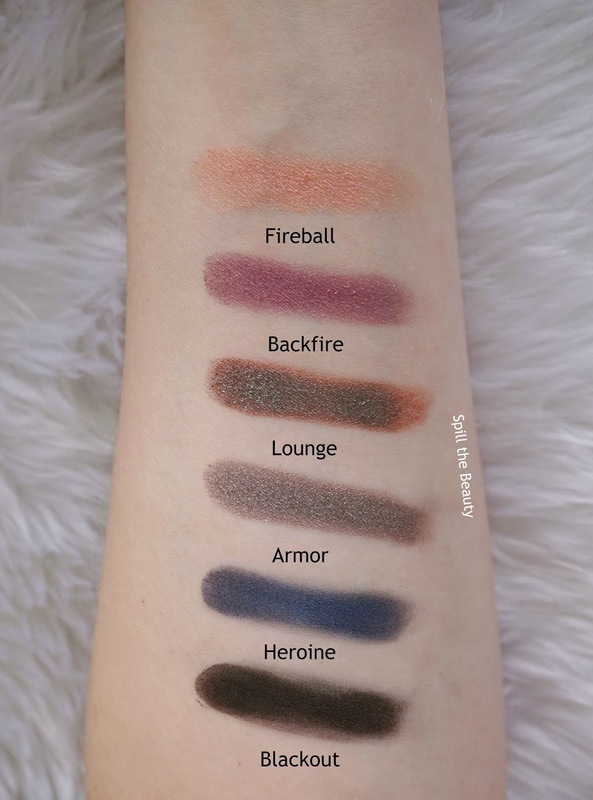 I’m calling it now – metallic lilac is rose gold’s BFF. 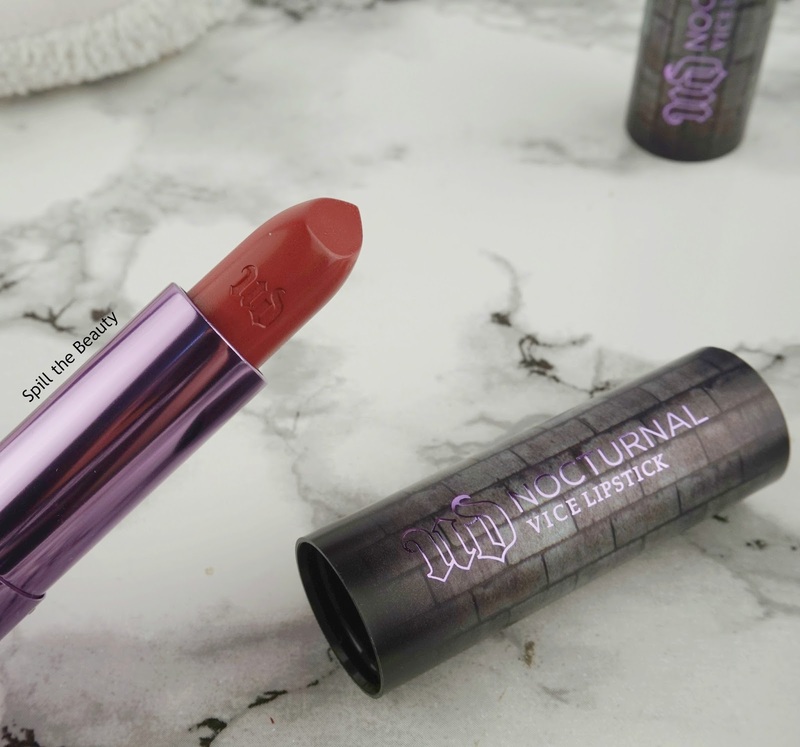 The bullet is a classic cut, with the Urban Decay logo embossed on the side. 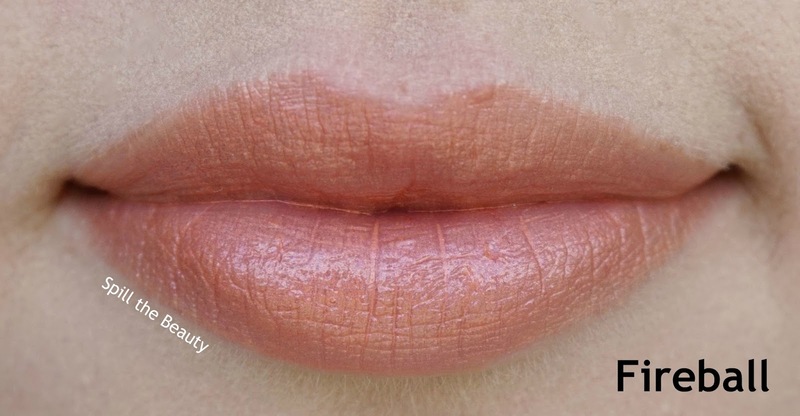 ‘Fireball’ is a light golden peach with a metallized finish. 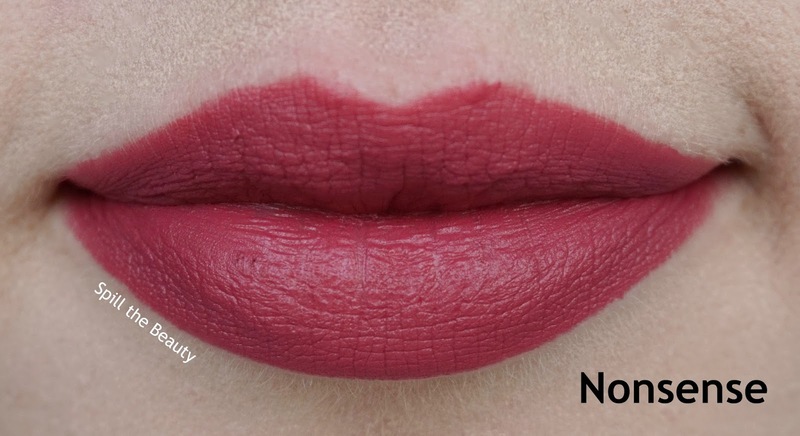 ‘Nonsense’ is a dusty rose berry with a comfort matte finish. 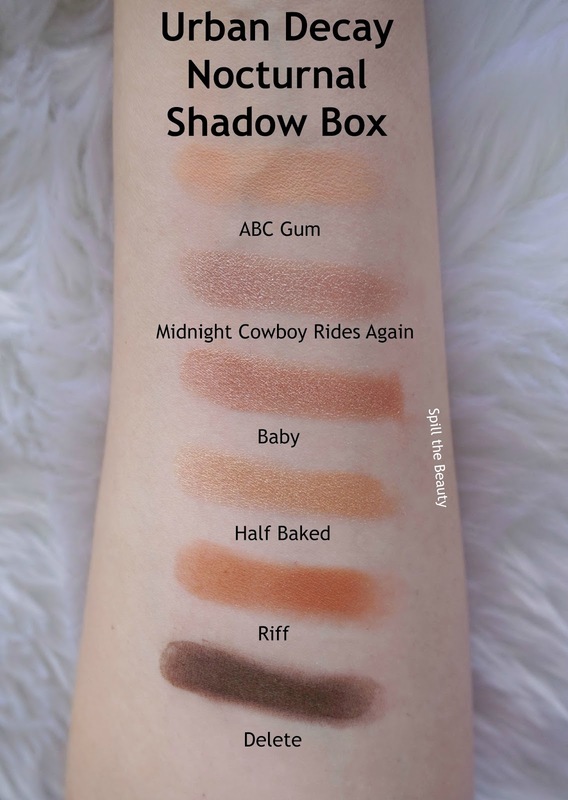 The Urban Decay Nocturnal Shadow Box includes 12 eyeshadows that each contain 0.5 g of product. 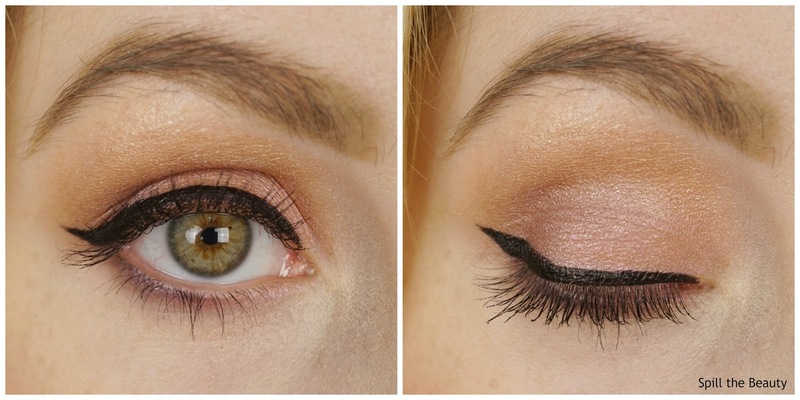 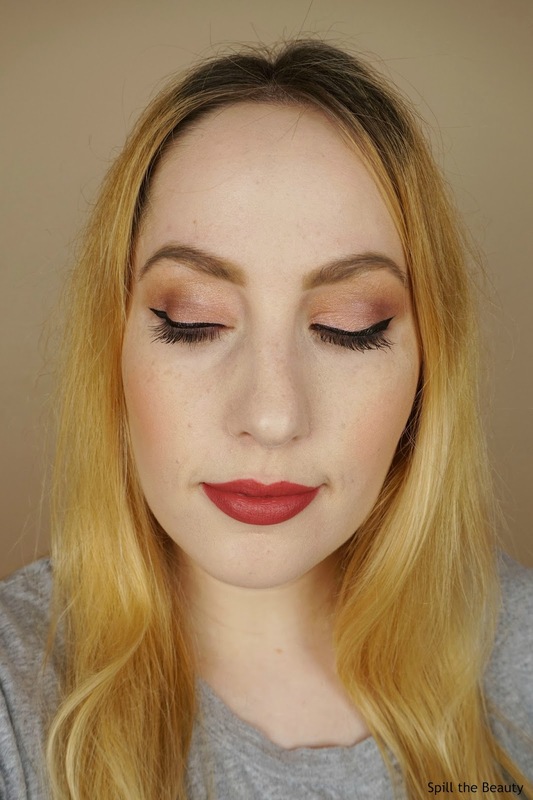 ‘Baby’ in the crease, ‘Fireball’ on the inner 2/3 of the lid, ‘Backfire’ in the outer corner and blended into the crease, ‘Heroine’ on the lower lash line, ‘ABC Gum’ on the browbone. 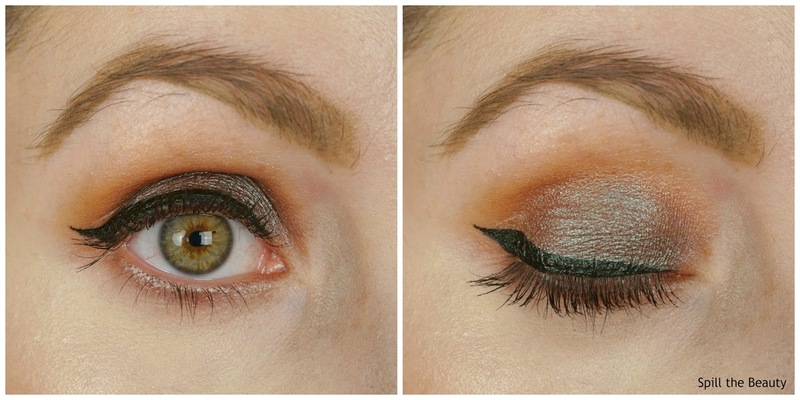 ‘Ruff’ in the crease, ‘Lounge’ all over the lid, ‘Midnight Cowboy Rides Again’ on the lower lash line. 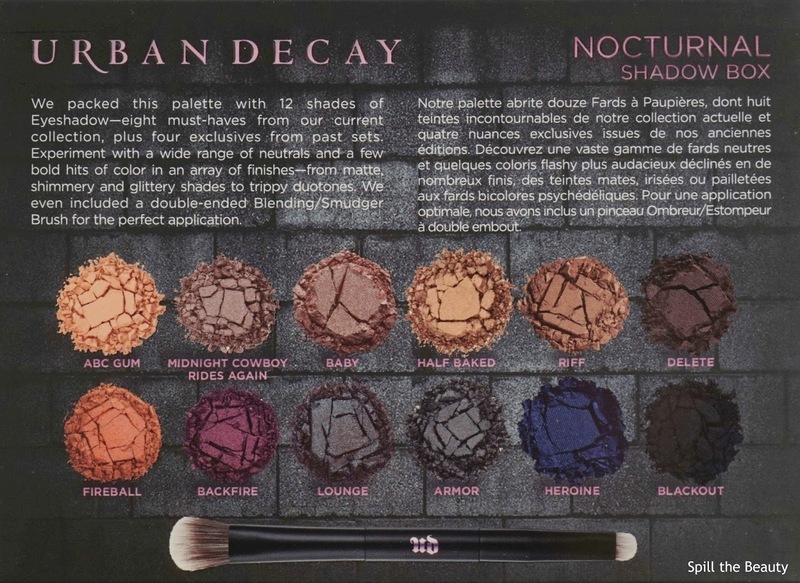 You can find the limited-edition Urban Decay Nocturnal collection on beautyBOUTIQUE.ca.